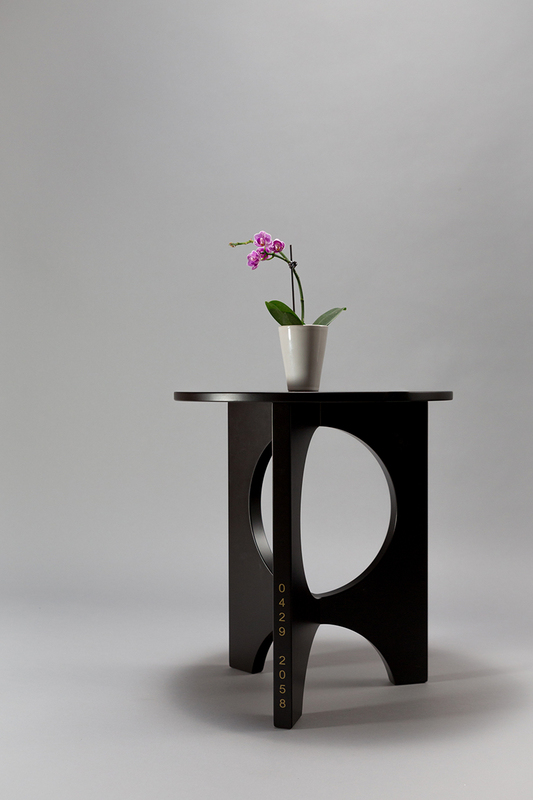 The design of the Moon side table is inspired by the Lunar schedule. In the Chinese culture, the shapes of the moon are associated with the ups and downs of life. On the 15th day of the 8th month of the lunar calendar, the moon is full and the round shape symbolizes family reunion. In the Chinese minds, the moon does wax and the moon does wane, and so men meet and say goodbye. 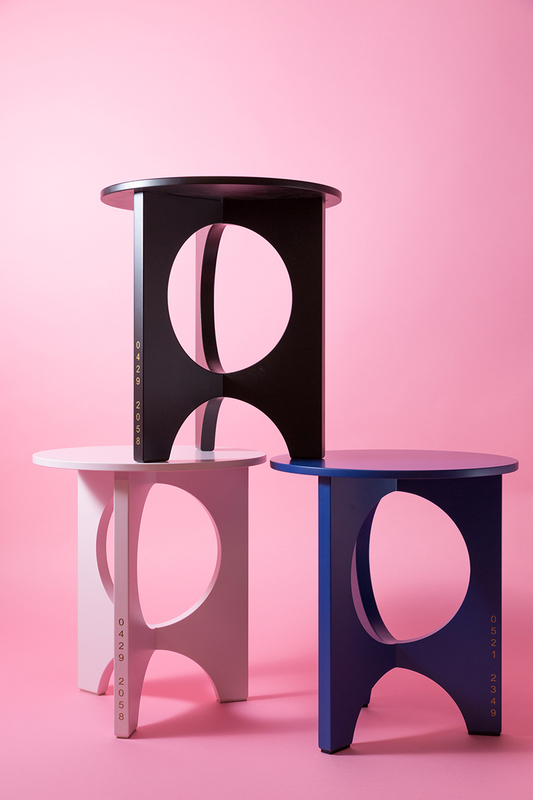 The Moon side table is composed of a circle table top and three legs. Each leg has a half circle cutout from square shape. The three legs joint together at the center of the table top, at the same time the half circle cutouts form a shape of sphere. 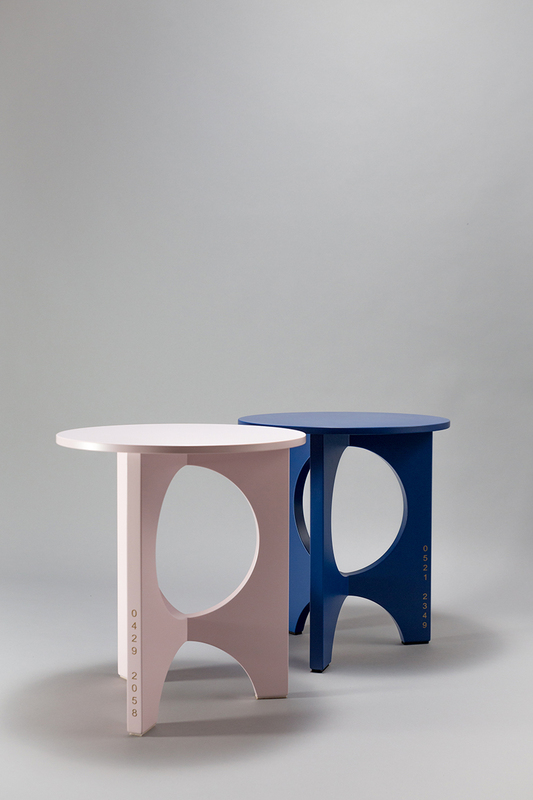 When the table turns, the sphere changes its shape just like the moon changes its shape based on the lunar schedule. There are 8-digit numbers either engraved or printed vertically on the table legs. 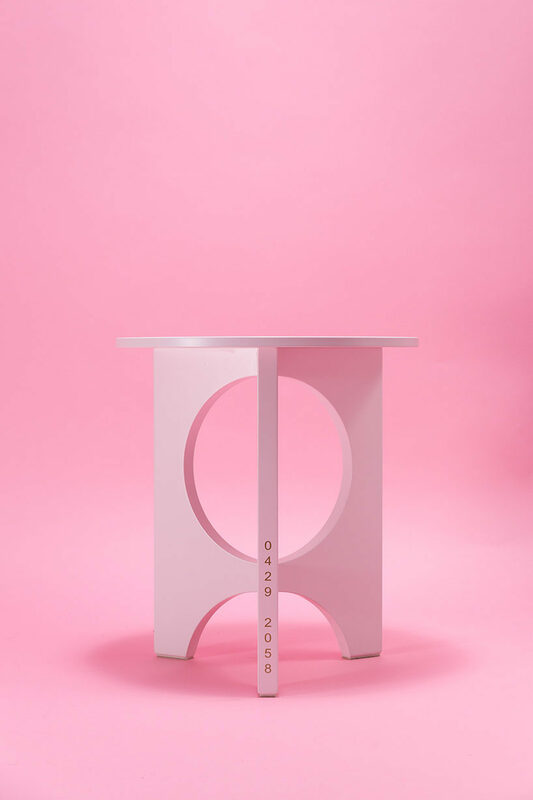 The numbers represent the time of the full moon (or first quarter) of the month the table was made. 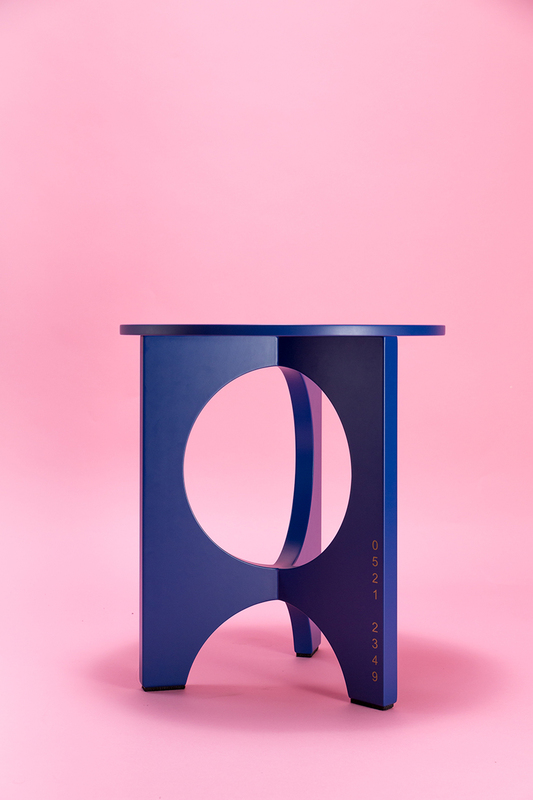 When you look at the number straight on, it is the angle the table forms the shape of the “full moon”(pink side table) or the shape of the “first quarter moon” (blue side table). The time the table was made is encrypted on the table. 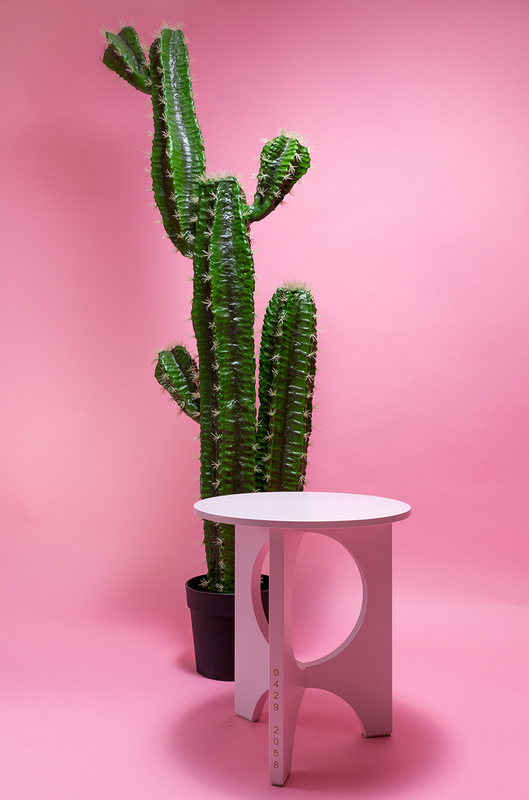 There are three material options for the side tables: painted MDF, solid wood and quartz. 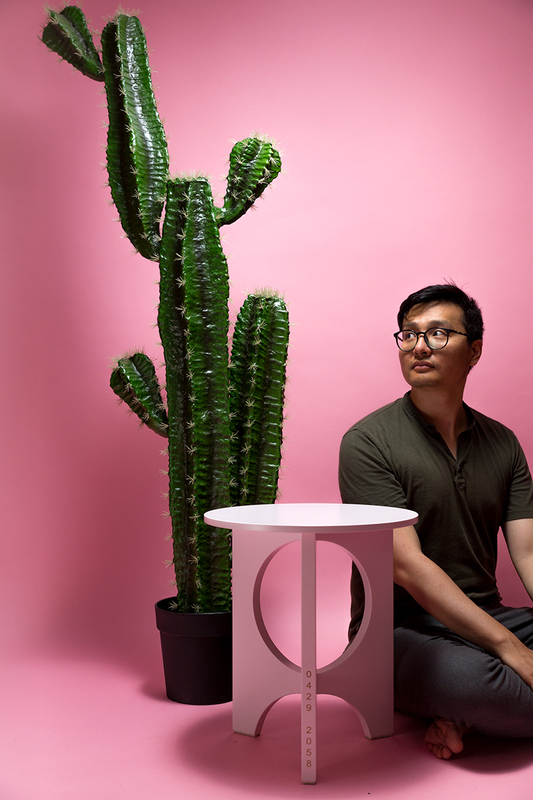 The design of the Moon side table not only focuses on the simplicity and functionality of a furniture piece, but also brings fun to daily life that reminds the user about the life, nature and craftsmanship.